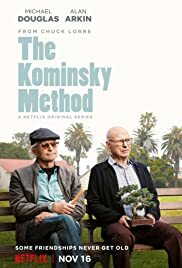 Executive Producer Chuck Lorre presents The Kominsky Method. On November 16, meet Sandy (Michael Douglas) and Norman (Alan Arkin), two lifelong friends who are navigating the ups and downs of life with humor, dignity, and some prostate trouble – reminding us that some friendships never get old. Daniel Sloss: Live Shows | TRAILER | Streaming Now on Netflix!